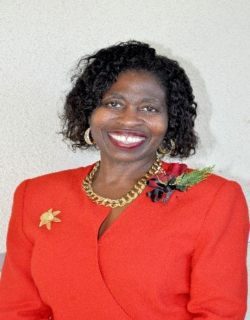 Barbara Perry is currently a Representative and Parliamentarian for San Diego UNAC. She is running for reelection to continue working on issues concerning growth and ensuring strong representation for UNAC members. Barbara has been a voice for nurses and continues to fight hard to guarantee that their concerns are heard. Barbara has been a charge nurse at San Diego Zion since 2007. She possesses a BSN in Nursing from the University of Michigan, and a Master of Health Systems Leadership from the University of San Francisco. Barbara’s leadership experience includes: Thoracic and Cardiac Intensive Care, Home Health, the United States Army Nurse Corps, Legal Nurse Consultant, NCLEX board reviewer for the National Nursing Board, and Contract Specialist. Barbara works to support the San Diego Nurses Associations to include the Hispanic, Filipino, and Black Nurses Associations. She has also taught at Grossmont Community College encouraging students to pursue their careers. Barbara has been an active steward for San Diego UNAC since 2010. Her experience in service is apparent as she has assisted UNAC members with a multitude of needs throughout her career. Her belief of treating others the way you would want to be treated is unmistakable. Hello, my name is Michelle Lin, and I am running for the position of the Affiliate Associate. I am a Registered Nurse, currently working in the peri anesthesia department. I have been a nurse for almost 9 years now, and I have been at Kaiser Permanente for over 7 years. Additionally, my background in nursing includes hospice and ortho/med surg. And most importantly, I have been actively dedicated in participating in events leading up to the securement of our contract. In my personal life, I love to travel, hike, swim, paddleboard, and do Pilates. I live in San Diego with my dog Bella and my boyfriend Josh. I am currently enrolled in the Master’s Program, pursuing a degree in education. I look forward to continuing my service to others, and building a highly engaged affiliate!